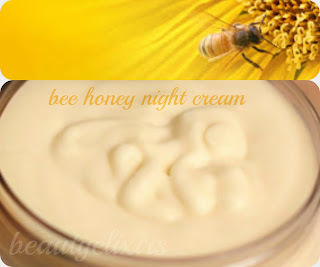 I am a big fun of bees and bee products, I consider them as miracles of the nature and I always use them in my homemade cosmetics. This time I used a combination of four fabulous bee products to make a super nutritious and regenerating night facial cream. This recipe was originally published in March 2007, in Greek. some useful links were included. For the English version I selected this super blog which is full of valuable info. In Greece, since antiquity apiculture (honey production) has played an important role in society, economy and nutrition. Greek beekeepers and mainly the small-scale, local community ones produce honey of high quality. Honey from wild flowers & herbs, the famous thyme honey, honey from pine, fir, chestnut, oak, citrus & heather flowers are the main types of the Greek honey produce. Many of the Greek smal scale bee keppers are also bloggers with beautiful blogs. Ι select one for you, it's wonderful, it worths a visit. 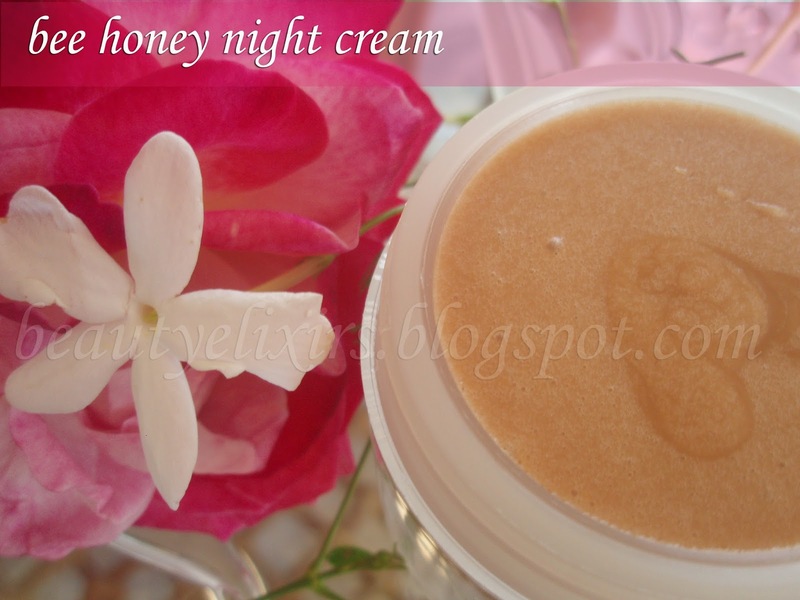 honey, for is moisturizing and humectant properties, and because it's packed with minerals and vitamins. propolis, for its antibacterial, antimicrobialproperties. Propolis stimulates skin regeneration, it contains vitamins B1, B5, provitamin A & minerals and due to its antibacterial properties it can play the role of a natural preservative. royal jelly, for its precious iconstituents such as amino acids, minerals, B complex vitamins and its anti-aging effect. Evening primrose oil, a thin oil easily absorbed by the skin, rich in omega 6 fatty acids (gamma linolenic acid) with strong anti-aging & anti-wrinkling peoperties. Rose Hip Seed oil, (Rosa Rubiginosa, Rose Musquée du Chili) also known as Rosa Mosqueta, a valuable and smoothing oil , rich in omega 6 (by 43%) and omega 3 (by 35%) fatty acids as well as in vitamins Α, D & E. Rosa mosqueta is a perfect addition to anti-aging products, it helps to smooth out facial linesand wrinkles, it moisturizes and .regenerates the sensitive facial skin. Shea butter (Butyrospermum parkii) that is an excellent emollient, rich in vitamins A and E, it promotes elasticity and is known for its smoothing, and softening effect. Grapeseed Oil (Vitis Vinifera) a light odorless oil, rich in linoleic acid which is fully absorbed by the skin. Rose Hydrosol, a great toner suitable for all skin types and especially for dry and mature ones. The vitamins, the honey, the essential oils as well as the royal jelly will be added to the emulsion (to the cream) when the temperature is under 30C (86F). Evening primrose and rosa mosqueta are sensitive oils. They will not be added in the oil phase from the beginning. They will be incorporated to the emulsion when the temperature is under 30C (86F). It's better to preserve this cream in the fridge. 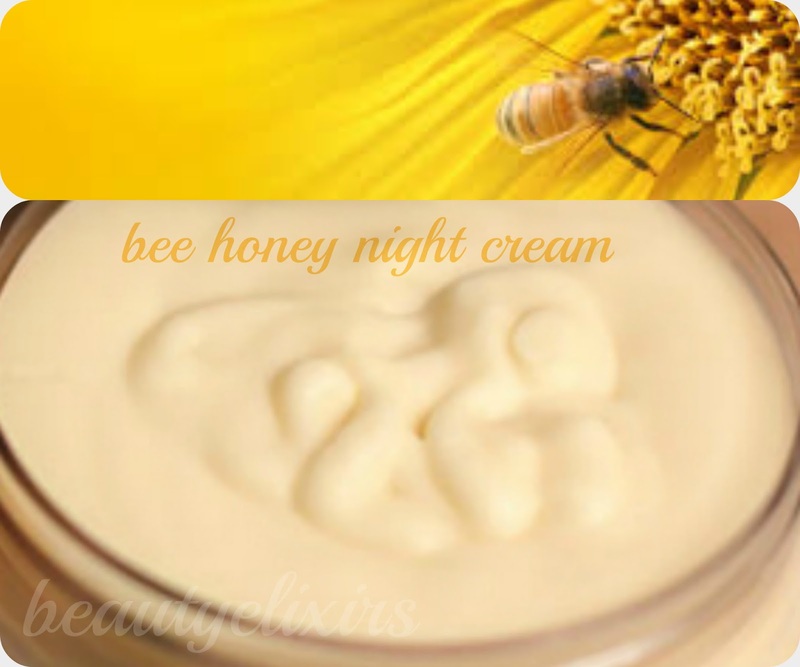 Royal jelly is a sensitive product, better not to take a risk. 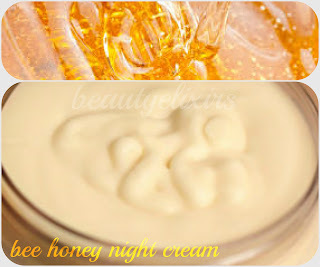 This recipe includes luxurious and expensive ingredients but the result is a fabulous cream. You deserve it! a bit of nostalgic music, la historia di un amor, the old version..